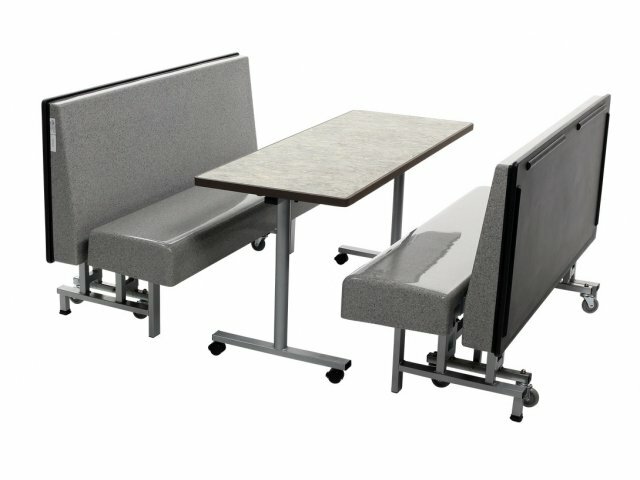 AmTab Mobile Folding Booth Seating and Table 30x60"
With some big and comfy booth seating, and the perfect mobile folding tables to match, your students will never want lunch time to end. 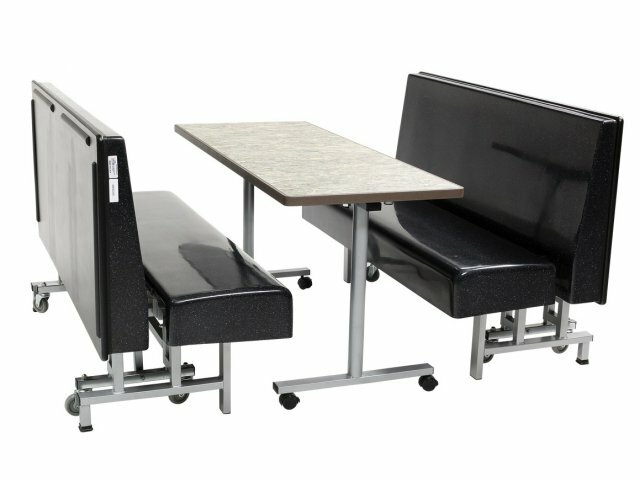 This classy collection includes booth seating and coordinating tables to give your cafeteria or eating space a cozy, upscale look. The fiberglass seat and back have a sleek appeal, and come in an array of attractive colors. 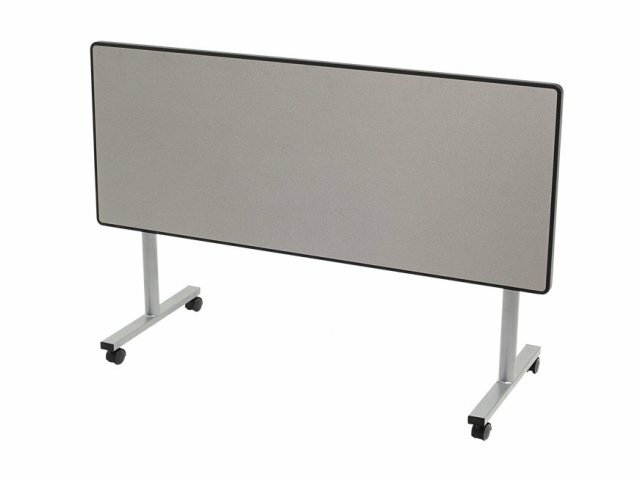 When in use, the booth seating stands on high-impact, extra-wide DynaGrip glides, and the casters lift completely off the ground, so there is absolutely no rocking or sliding. 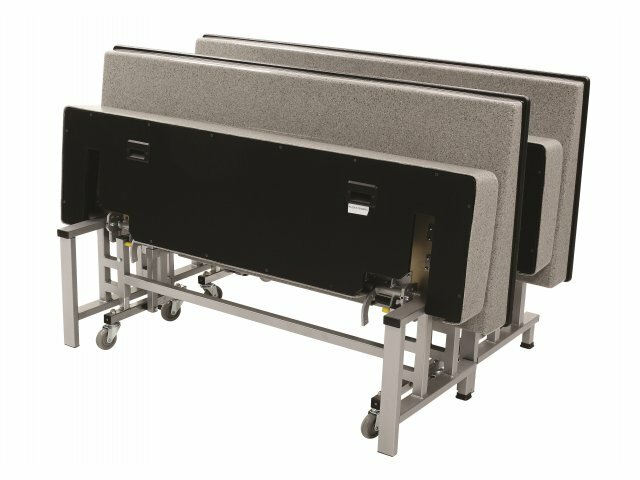 It folds up via high-speed gas cylinder assist mechanism, so only the heavy-duty, hard rubber casters roll smoothly on the floor, to get the booths quickly to wherever they need to go. Matching mobile folding tables complete the look of your upscale dining space. They have a smooth laminate finish and Dyna-Rock edge protection. 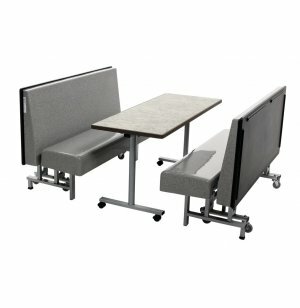 An E-Z Free tilt lock mechanism smoothly folds down the tabletop for easy transport and space-saving, nesting storage. 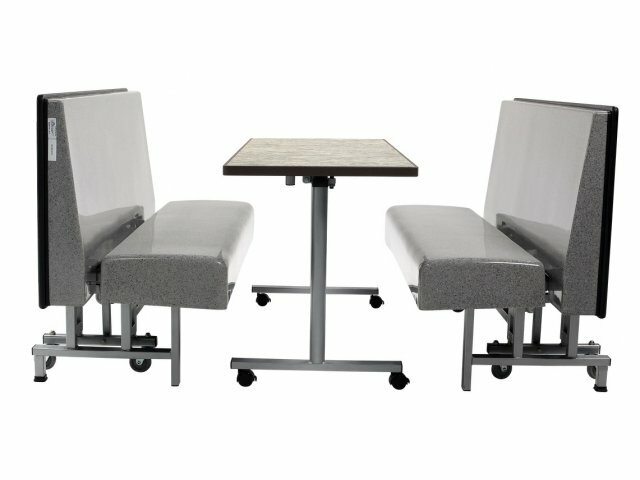 If you are looking for a way to spruce up an eating space, while still benefiting from maximum flexibility and long-term quality, this innovative booth seating and tables are a wonderful choice.